Thai food is well-known for its balance of these 4 fundamental taste senses in each dish: sour, sweet, salty and bitter. The cuisine in Thailand is quickly on the rise and is most definitely among the top cuisines in the world. All corners of the globe are discovering the exotic flavors and fragrances that make Thai food one of the most unique and delicious in the world. If you especially are a fan of spicy foods, then Thailand is the place for you because they love to spice things up a bit. Given that Thailand is the #1 biggest rice exporter in the world, you can bet that rice is served with almost every single meal. Curry dishes are also found on nearly every menu, but the curry in Thailand is much different than Indian curries. Thai curry is more liquid (as opposed to creamy), and it always includes coconut milk, which gives it a distinct flavor. 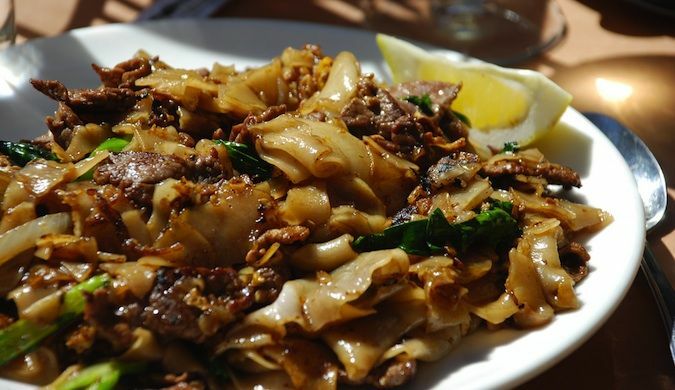 Below is a list of 7 Thai dishes which you absolutely cannot miss out on when you visit ‘The Land of Smiles’. This is the quintessential Thai dish, but its authentic flavor is often lost in restaurants around the world, as they standardize it to the point where it becomes generic. Yet everybody will fall in love with a good Pad Thai which is easy to find anywhere in Thailand. 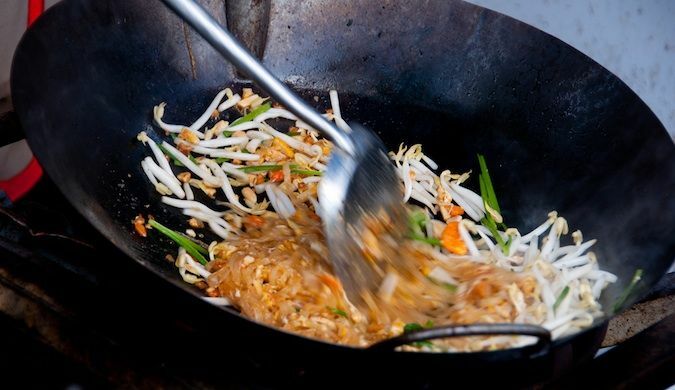 Pad Thai may be a standard dish, but it’s oh so good. 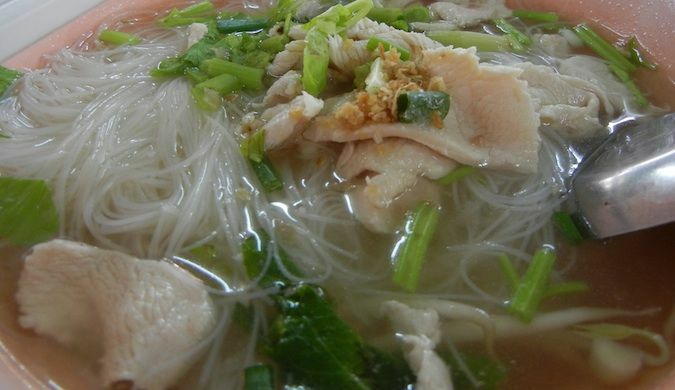 This red pork noodle soup is something found only in Thailand. This dish consists of noodles, a potent and flavorful broth (made from boiled pork bones and onions), sprouts, bok choy, and slices of red pork. 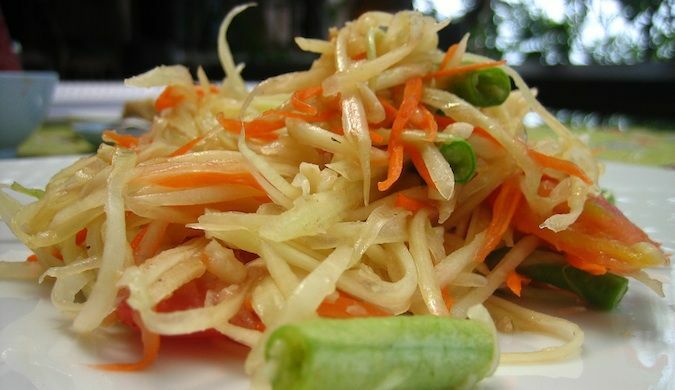 This is definitely one dish that all those frequently visiting Thailand look forward too. This Thai omelette is the breakfast of choice for many tourists. 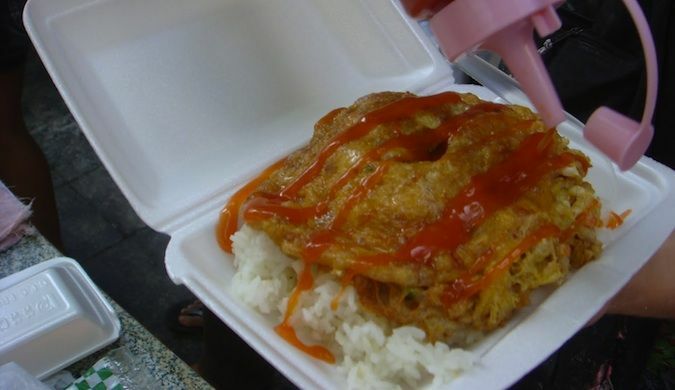 It’s egg mixed with fish sauce and chilies, cooked in oil, served atop white rice, and slathered in sweet chili sauce. Few people could’ve imagined that egg, rice, and sweet chili sauce would work so well together, but they do. Most defintely the breakfast of champions. 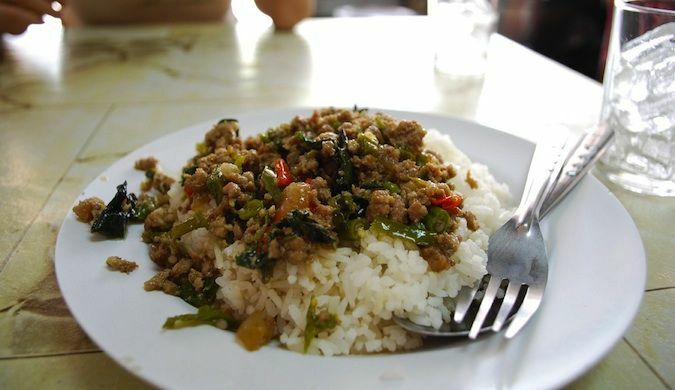 Pad Kra Pao is essentially minced pork or chicken stir fried with basil and chilies and served over rice. It’s a common dish, served in most restaurants, however, many tourists prefer to have it at the night markets and street stalls, where the ambience adds to the authentic taste of this Thai treat. As the books have told you, chicken soup is good for the soul — and the Thai version is good for your tastes buds too. Thai chicken soup is exactly like any other chicken soup, but the broth (made with chicken bones, onions, ginger, and garlic), just like the pork noodle soup broth, sits out there for a while collecting all those delicious flavors. It’s a taste explosion in your mouth. This is a dish of fat rice noodles cooked with eggs, chicken, and bok choy. The noodles are darkened with a soy sauce that adds lots of flavor to the otherwise bland noodles. The noodles are quite sticky, and when you pick them up on your fork, you usually get about half the dish too. This dish is a staple of Thai cuisine. Shaved papaya is tossed in a mortar and pestle with carrots, peanuts, tomatoes, string beans, palm sugar, fish sauce, and a whole lot of chilies. It’s as delicious and amazing as it is fiery. Tourists often put up with the fiery taste, because it’s just so delicious. 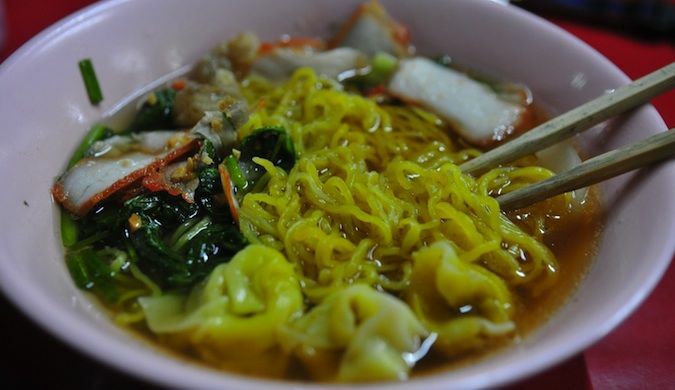 Check out a variety of best street food served in Thailand. Discover the top Thai cuisine, restaurants in Bangkok with our food guide. Look out for these fantastic dishes when you’re browsing the country’s night markets and streets. Thailand is the hub of tantalizing street food! Street food here provides convenient, delicious and cheap meals. For more information visit: Street Food Thailand Bangkok.